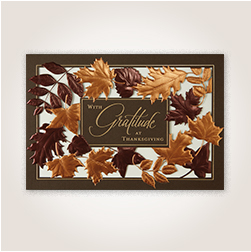 This Thanksgiving, we’ve got you covered when it comes to customer engagement. 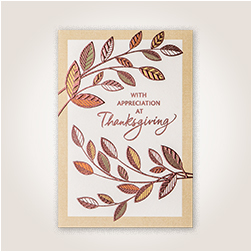 Reach out to your valued clients and customers during the Thanksgiving season to let them know you appreciate their business and are thinking about them. When you care for your customers, not only do you improve the likelihood of repeat business, you also create your own advocates who are loyal to your brand and determined to spread the good news of your customer service. The easy part is purchasing your Thanksgiving cards. The hard part is figuring out what to write in them. 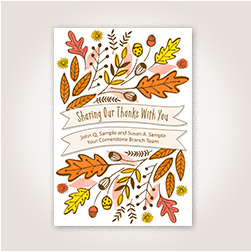 We’ve gathered our top 10 ideas to help you decide what to write in your Thanksgiving card. Every idea below will help you thoughtfully express customer gratitude. After all, your customers are the reason for your success! 1. May your table be filled with family and gratitude this season. Happy Thanksgiving! 2. All year long, but especially during this season, we’re grateful for wonderful customers like you! Happy Thanksgiving. 3. Your business is greatly appreciated…this time of year and all year round! Happy Thanksgiving. 4. 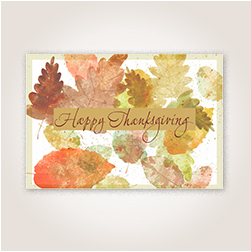 We appreciate your business and wish you a Thanksgiving filled with friends, family and delicious food. Enjoy! 5. Though we’re thankful for all of our customers, you’re especially high on our list. Thank you for being a great customer and Happy Thanksgiving! 6. Thank you for your business. 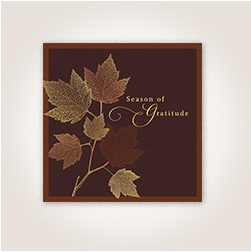 We are especially grateful during this season of gratitude. Happy Thanksgiving! 7. Thank you for your business. 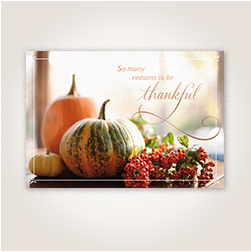 We are thinking of you during this season and hope you have a wonderful Thanksgiving. 8. With appreciation for your business and your loyalty throughout the year. Best wishes for a happy Thanksgiving! 9. 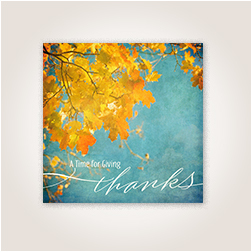 It’s the perfect time of year to send our sincere thanks for your business. 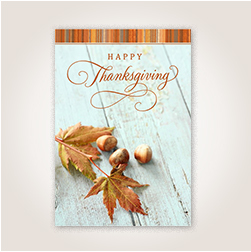 Happy Thanksgiving from our business to your home! 10. May your Thanksgiving and all the days ahead be filled with happiness, joy and prosperity. 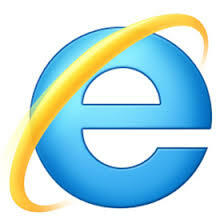 Thank you for your continued partnership with us. At Hallmark Business Connections, we know what it means to create real relationships with your clients and customers. 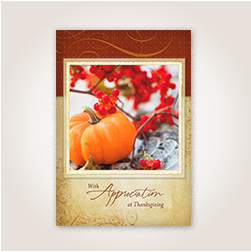 We’ve made it easy with everyday and holiday cards perfect for any occasion—even Thanksgiving.